Music charts around the Christmas period have been a disappointment of late. As a child of the 80s, I shamelessly enjoy the sentimental pipes of Sir Cliff’s Saviour’s Day and the heartache and sleigh bells of Wham’s Last Christmas. Old festive favourites do make a reappearance in the charts every year but how refreshing would it be for a more recent song that was also deliciously on-theme to make an appearance? Glastonbury favourite Lekiddo - Lord of the Lobsters may have just what Christmas music fans are yearning for! Lekiddo’s latest remix of his festive tune It’s Christmas (I Bet You Don’t Know What I’ll Bring You) is all what a seasonal number should be - catchy and joyous with an outright refusal to hold back. The surreal backing vocals, echoing old rock n roll, are joined by chimes while Lekiddo sings passionately of giving into the party beat. From then on the song throws you head first into a soulful tinsel-glittering world touched with nostalgia. Each verse is filled with imagery full of festive warmth and pleasures such as brandy, truffles and firewood. Lekiddo combines a sense of the intimacy of a cosy night in with the all-out exuberance of a party with your closest friends and loved ones. The euphoria builds up to a proud “PEACE ON EARTH!” declared with feeling. It’s Christmas deserves to sit with the festive classics of Mariah Carey and Wizzard on party playlists everywhere. 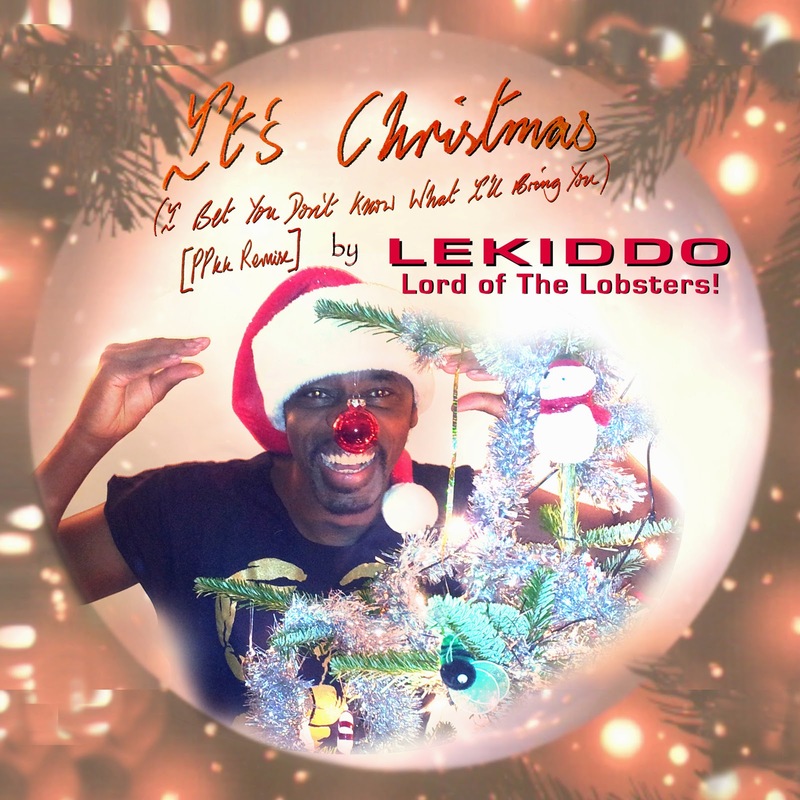 Lekiddo Lord of the Lobsters was made for Christmas - unadulterated positivity bursts from every note which is a key ingredient for what I like to call a proper Christmas song. Spread the joy! Like Lekiddo's Facebook page, visit lekiddo.com and follow @lekiddo on Twitter for lobsterlicious news and gigs.